Happy to help: Iziq Foa’i. One minute Iziq Foa’i was celebrating a friend’s birthday in the UAE. Less than 24 hours later he was stepping out onto the pitch in Malaysia for his adopted nation. The gifted New Zealand teenager is awaiting the green light to head to the UK to take up a contract with Rugby League side Warrington Wolves’ academy, but he jumped at the chance to represent the UAE at the Asia Rugby Under-20 Sevens Series last weekend. Foa’i, 19, received the call last Friday. Hours later he was at the airport and the following day he was lining up alongside fellow Quin and UAE skipper Adel Al Hendi in their game against Kazakhstan. He didn’t arrive in time to play in defeats to Malaysia and Singapore. Despite the short notice and jet-lag, Foa’i scored a try on his first outing as Roelof Kotze’s side recorded their first win of the tournament, beating the Kazakhs 24-19. And he remains with the squad for the second leg of the Series in Hong Kong this weekend. “I got a last minute call-up on Friday and before I knew it, literally it was three hours later, I was on the plane on the way to the tournament,” Foa’i explained. He added: “I was happy to go, it’s always a privilege to represent my adopted home. “It was awesome to be involved, the boys seemed a lot more experienced and confident from December [in the last leg of the series]. As soon as the UAE’s performance manager Kotze heard Foa’i was available, he knew he had to make the call. “The last time we spoke he was contracted to Warrington in league in England, so he told me he was not available,” said the South African coach. “The next thing I heard was that it was not finalised yet so I said if there’s a space let’s get him. Improved show: The UAE Under-20s compete in Hong Kong this weekend. Roelof Kotze is urging his UAE Under-20 team to cut out the mistakes ahead of this weekend’s second leg of the Asia Rugby Under-20 Sevens Series in Hong Kong. The South African is adamant his side are not a million miles away from beating the top sides in Asia in their age group, but insists his team have got to focus for the entire matches in order to be in contention for medals. 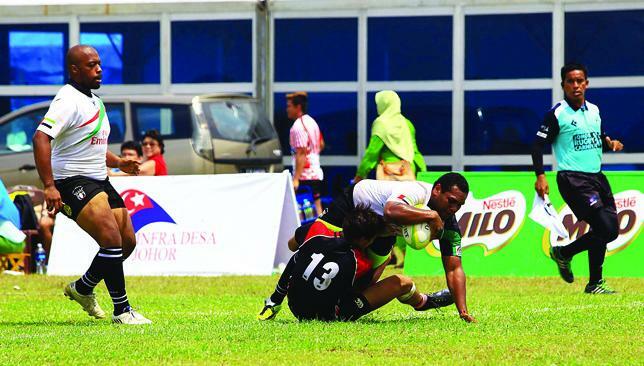 The UAE finished seventh out of eight teams in leg one of this year’s Series in Johor last weekend, losing four and winning two of their matches. Despite heavy defeats to hosts Malaysia (28-5), Sri Lanka (33-7) and Thailand (26-7), the UAE were well in contention at half-time in all three matches and the national team’s performance manager believes remaining focused throughout the entire game is his side’s biggest problem. “We played some really nice rugby but it was small mistakes again,” lamented the 45-year-old. “We lost our focus and mistakes cost us games. We always started well in the first half but it was the second half we would lose our focus. “Staying focused throughout the whole game is our biggest problem. We have to keep working hard for the whole game, that’s what we need to do. Kotze has started to address the issue this week by increasing training intervals, instead working for 10 minutes and having a break instead of the five or six minute intervals employed previously. “We’re working on key areas where mistakes were made, defensively we’re working hard,” he said. Although he was disappointed with falling short of at least a fourth place finish he had coveted, Kotze admitted there were also plenty of positives from the first leg. They recorded two wins over Kazakhstan, while their second defeat on the opening day was a narrow 19-17 loss to Singapore, which came when two UAE players had been sin-binned. “We’re fine-tuning our attack because on that front we did very well,” he said. The UAE land in Hong Kong on Wednesday although the pools for the tournament have not yet been drawn up. Kotze has slightly reshuffled his pack. 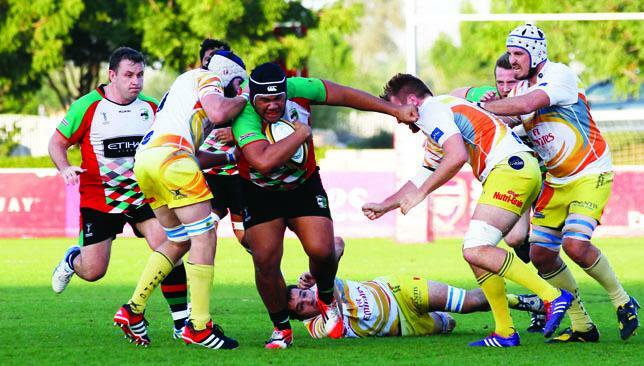 Abu Dhabi Harlequins’ Iziq Foa’i stays with the squad while Ebrahim Doraee has returned to the UAE, replaced by Hamad Al Shkeili. England winner Jonny May (c) delivered a fine performance against France. 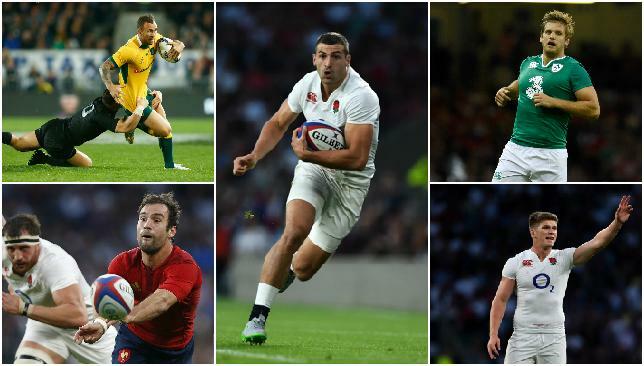 As the Rugby World Cup edges closer, Sport360 examines some of the emerging stars after the weekend’s warm-up games. The Ulster flanker made his first start in a green shirt since suffering a stroke last November and certainly looked the part. The 30-year-old only returned to rugby in March but he was brilliant at the breakdown against Scotland, frustrating their half-backs. Also made a number of key attacking bursts. The winger lost his place to Jack Nowell during the Six Nations but the 22-year-old would have looked on with interest as May delivered a fine performance against France. Scored one and made another for Watson as well as showing strong defence. Is surely on his way into Lancaster’s 31. Back in the All Blacks XV for the disappointing Luke Romano and Whitelock showed all his class with a performance of real purpose against the Wallabies. Made a team-high 12 tackles and was dominant in the lineout. Has likely nailed a starting berth for the World Cup. They were overwhelmed a little in the first half by England’s brilliant backline play but once in control Parra and Trinh-Duc showed why they’re France’s best half-back pairing. Freddie Michalak is likely to be given a run out in Paris but Trinh- Duc was classy with his hands and feet. Parra’s workrate just phenomenal. Thankfully the World Cup isn’t in New Zealand because so wretched are Cooper’s performances there, he’d likely be left in Australia if it was. Tentative in possession and a performance littered with errors, Michael Cheika still doesn’t know his best No10 as neither Cooper or Bernard Foley are consistent enough. Was given the full 80 minutes and it was a chance for England’s former No1 stand-off to give Lancaster real food for thought. However, Farrell was much to blame for England’s lack of direction in the final 20 minutes. Missed four tackles and was also wayward with a conversion.